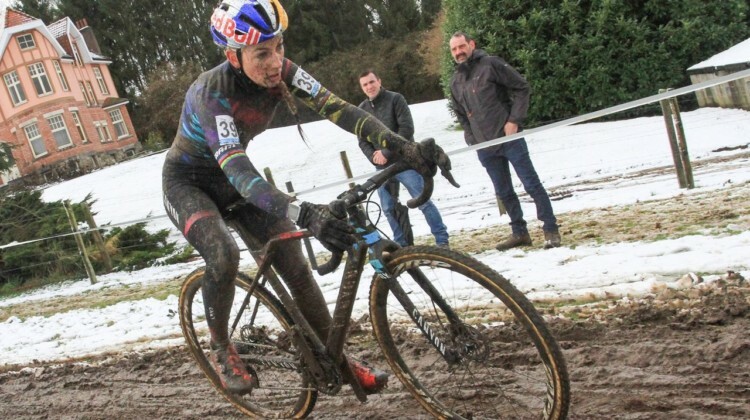 In just her second race back, Pauline Ferrand Prevot rode the cleanest race at the snowy, muddy 2017 Vlaamse Druivencross in Overijse. 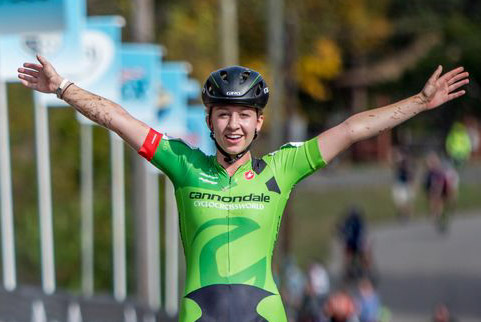 Get the story of her return in our race report. 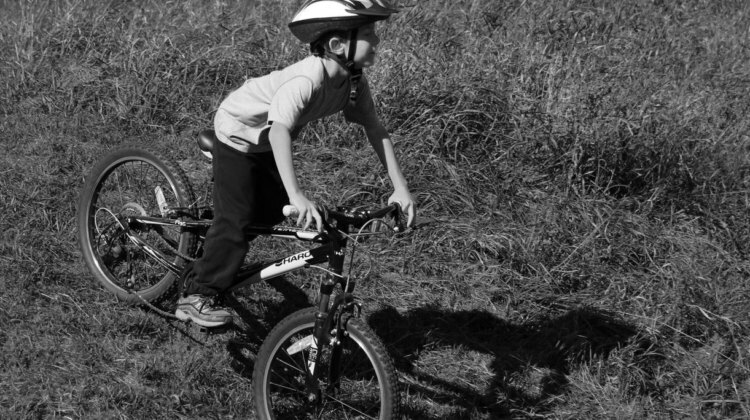 After the 2017 Ruts N’ Guts, Rebecca Gross went to school on Monday by visiting a local school’s bike club. Her visit was recorded in a Tulsa news segment. Rumors & Rumblings is back for a mid-season edition. 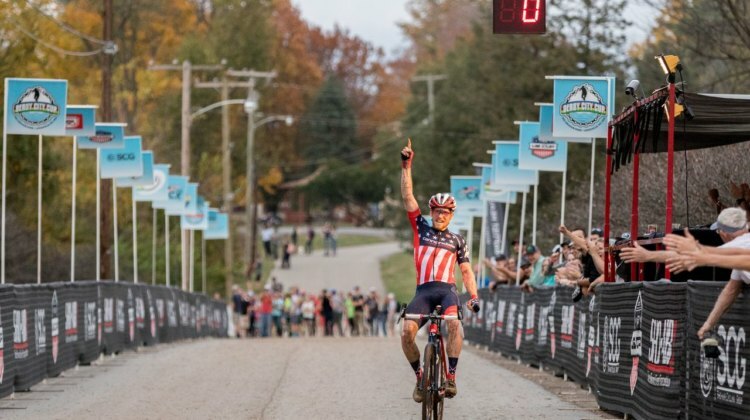 Pauline Ferrand-Prevot is returning to cyclocross, Adam Myerson talks Vittoria Series, Sanne Cant plays rock-paper-scissors and more. 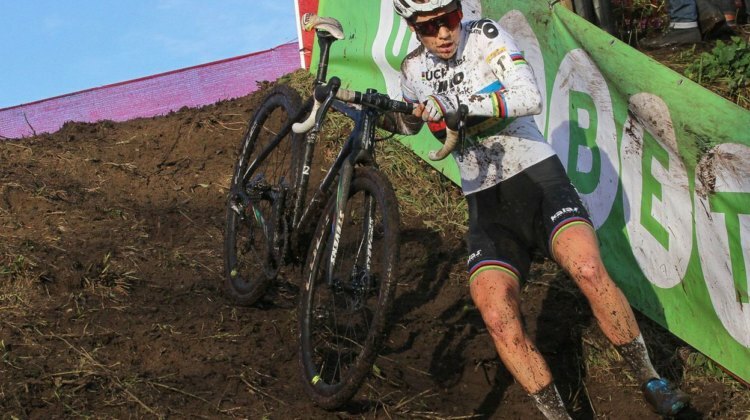 Sven Nys’ son Thibau already shares his dad’s commitment to hard work. 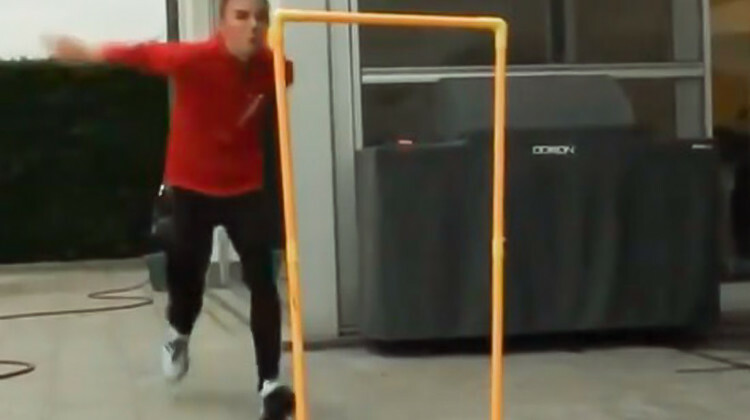 This series of videos shows some of the off-the-bike drills Thibau does to improve his explosion and agility. 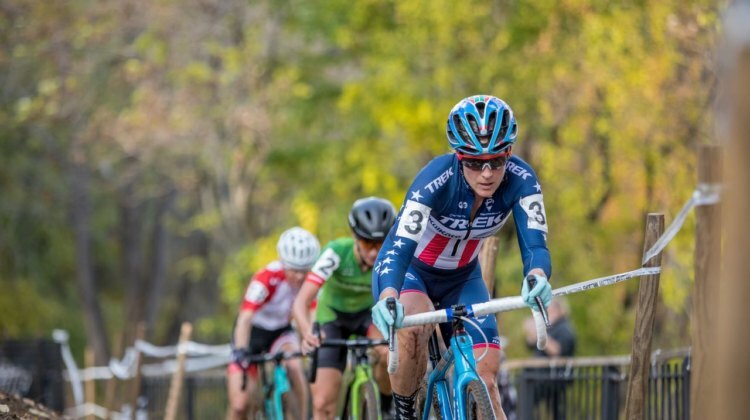 Ellen Noble went toe-to-toe against her idols Katie Compton and Sanne Cant and came away with a 2nd-place finish on Sunday at the 2017 Flandriencross. 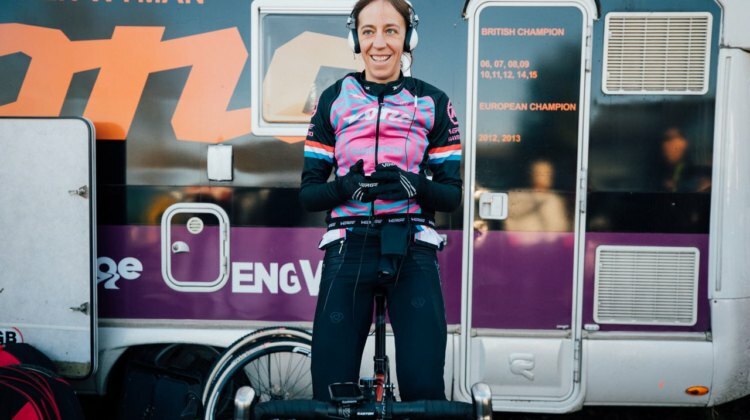 Noble shared her thoughts on racing at the front of a Euro race against the world’s best. 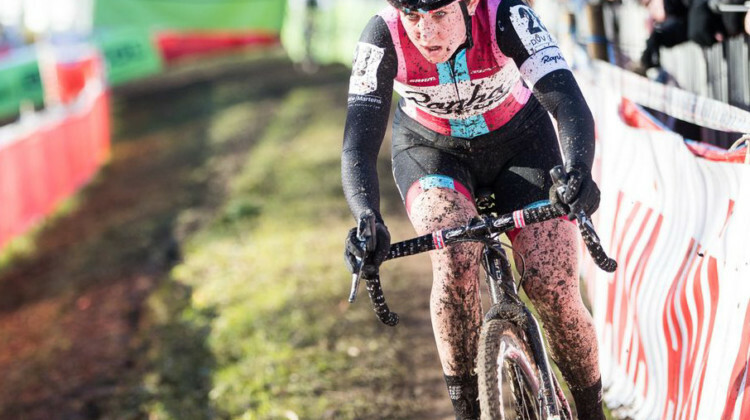 Katie Compton had her best World Cup finish of the season in Zeven, Germany. 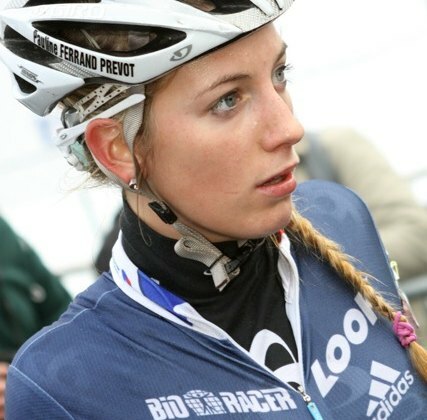 In this feature, she talks about her memorable race against Sanne Cant and Helen Wyman. 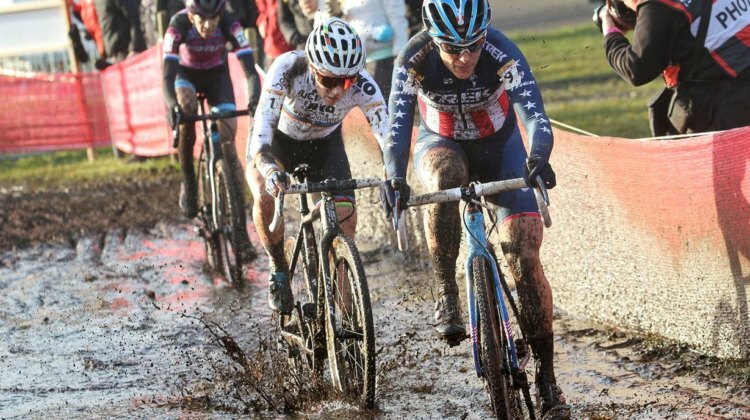 Helen Wyman was excited about the muddy conditions at the 2017 World Cup Zeven and raced accordingly. 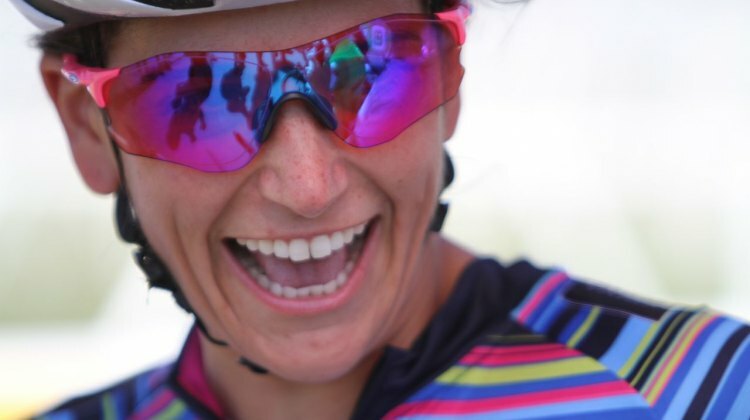 Wyman offers some thoughts on her 2nd-place finish. 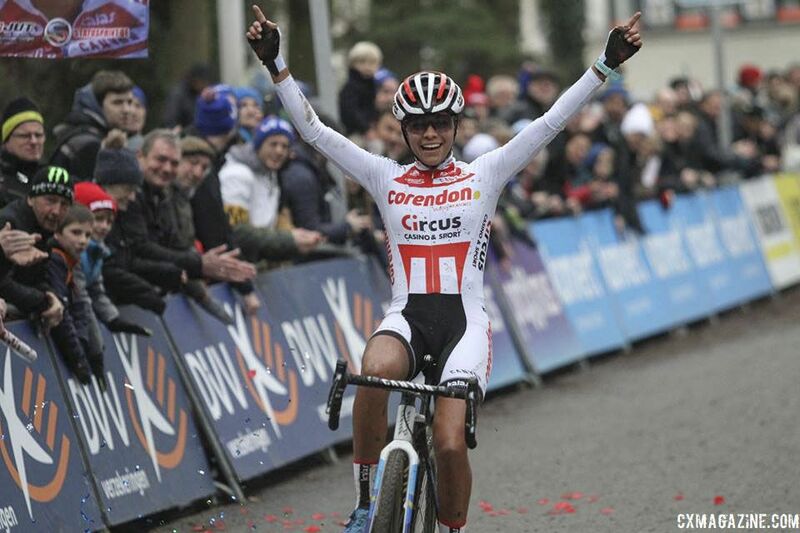 Sanne Cant rode a late attack to top Ellen Noble and Katie Compton at the 2017 Flandriencross. 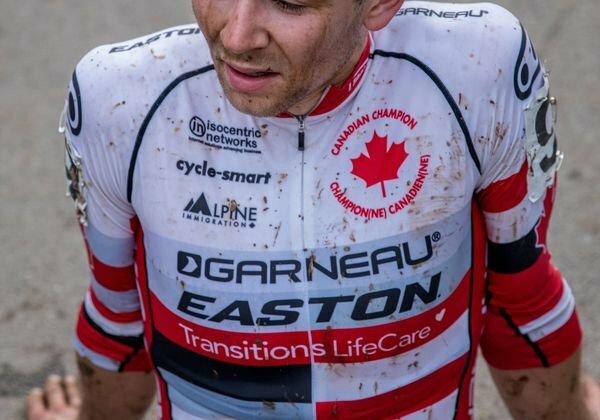 Our race report and results have the story from Hamme. 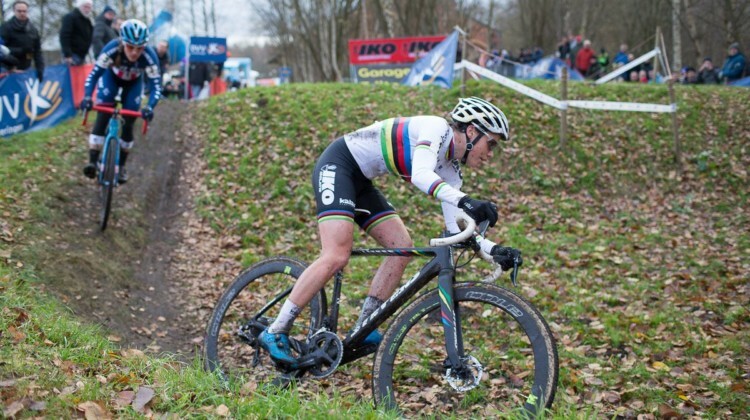 Wout van Aert was not about to become part of Mathieu van der Poel’s legend at the 2017 World Cup Zeven. 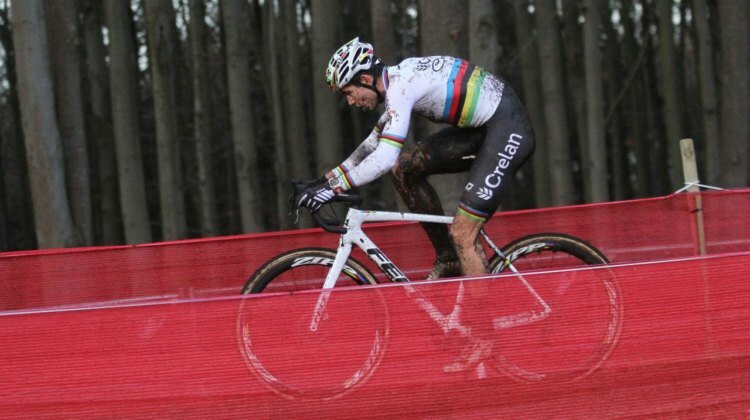 Van Aert soloed to victory after Van der Poel’s early mechanical. 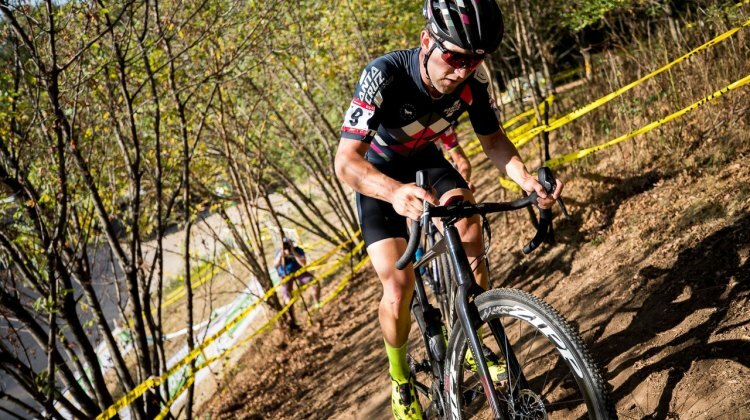 Full story and results in this race report. 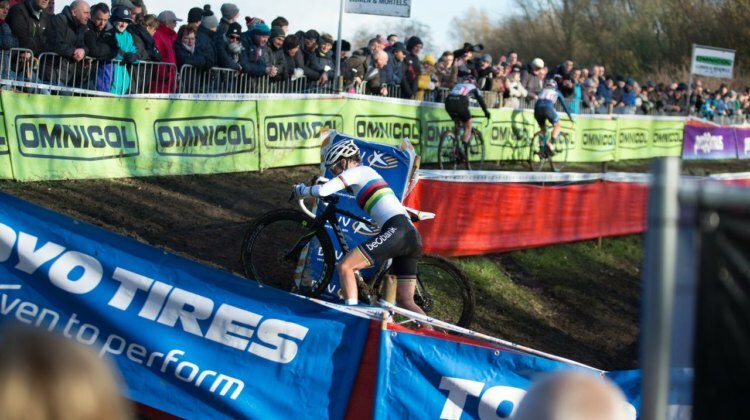 Sanne Cant mastered the mud at the 2017 World Cup Zeven to hold off challenges from Helen Wyman and Katie Compton. 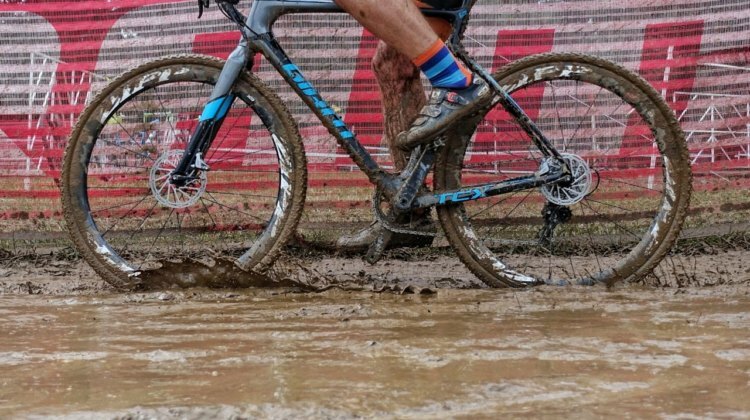 All the muddy details are in our race report and results. 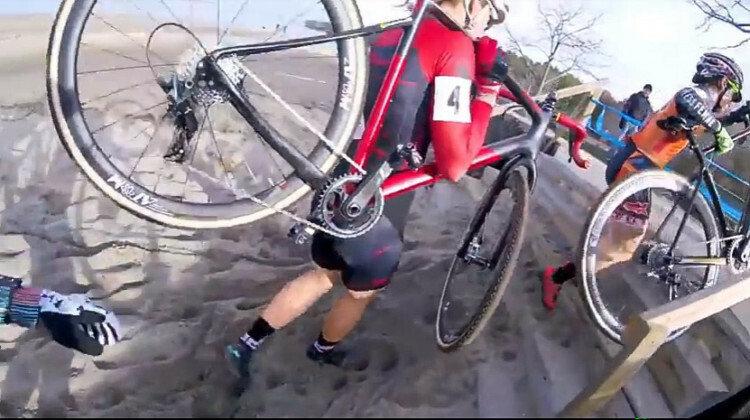 Trying cyclocross for the first time can be pricey. 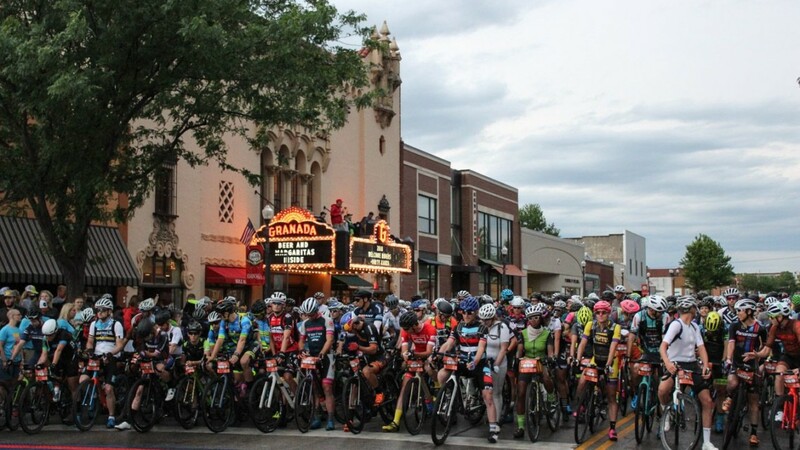 Two Wisconsin promoters share their experiences offering reduced entry fees for first-timers. 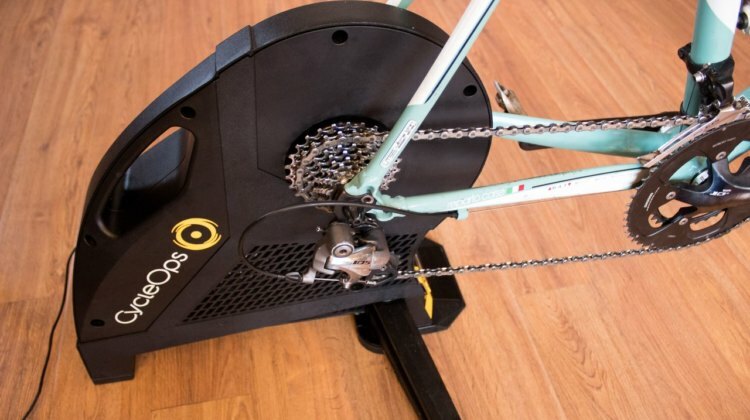 CycleOps by Saris’ entry in the direct-drive smart trainer market is the Hammer. 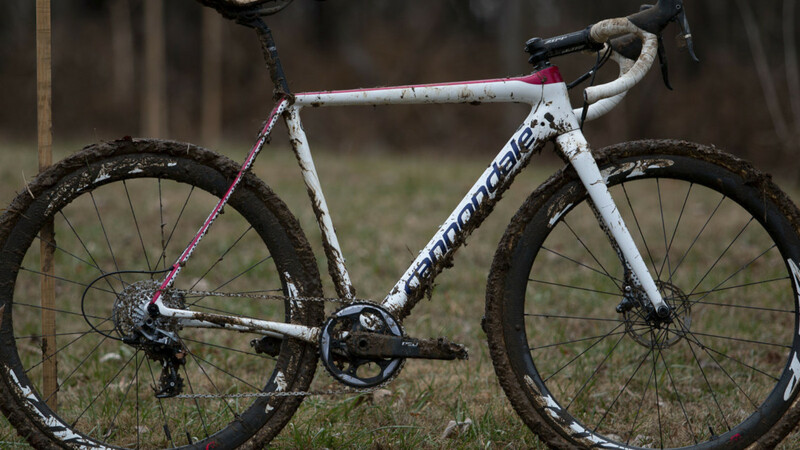 We put the Hammer to the test and report back on the ride and software compatibility for cyclocrossers who want to keep Hammering inside through the winter. Triumph. Disappointment. Redemption. Tobin Ortenblad’s Month in Three Acts. Tobin Ortenblad has had quite the month. 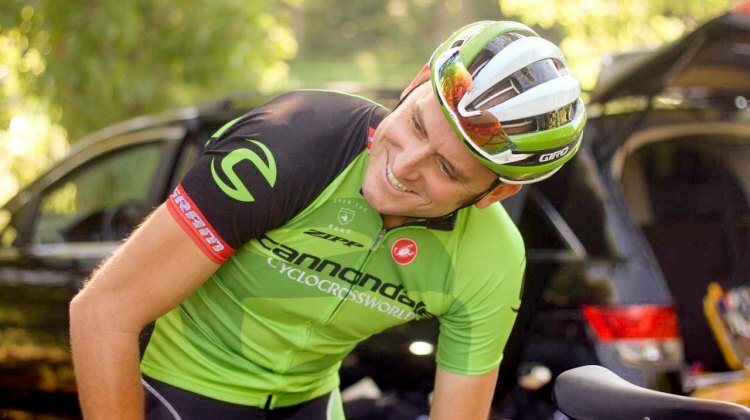 He bounced back at Pan-Ams in Louisville after disappointment in Cincy. We take a look at rollercoaster month in this feature story. 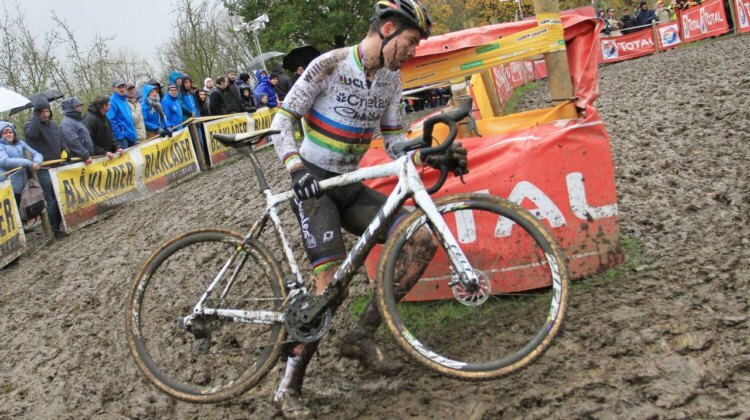 Wout Van Aert capitalized on a last-lap mechnical for Mathieu van der Poel to win the 2017 Superprestige Gavere. We have the story from the exciting mudder. 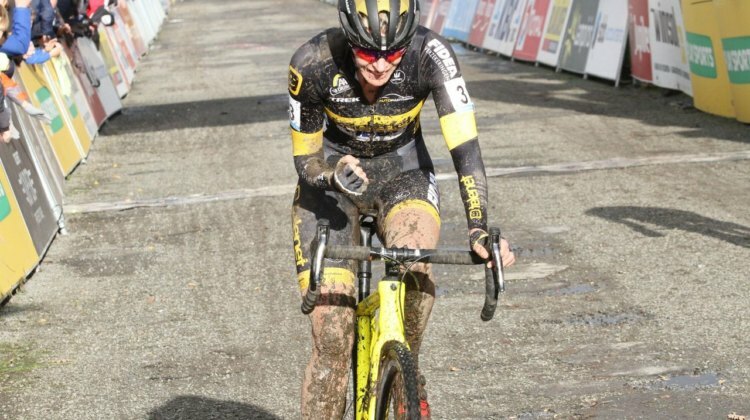 Ellen Van Loy made a late power move to pass Nikki Brammeier and take the win at the 2017 Superprestige Gavere. 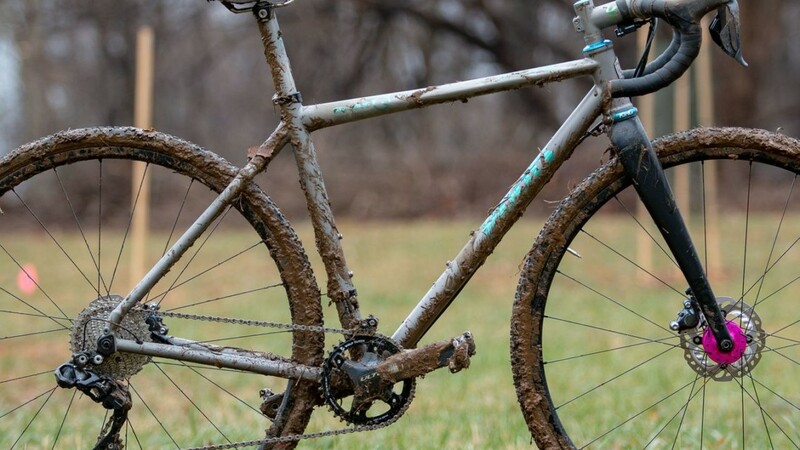 We have the story from the exciting, muddy race. 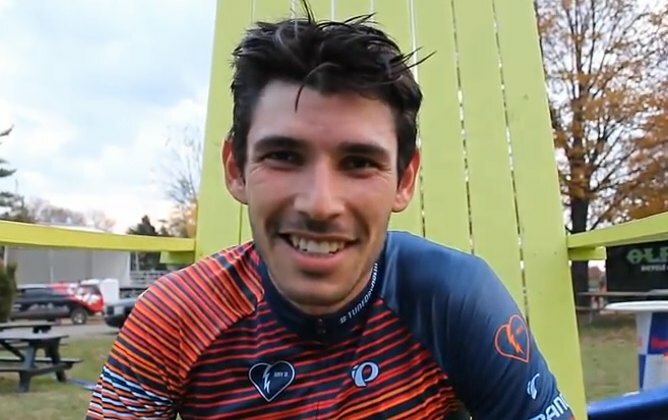 We look at a local news report from Louisville in the wake of the muddy 2017 Derby City Cup at Joe Creason Park. 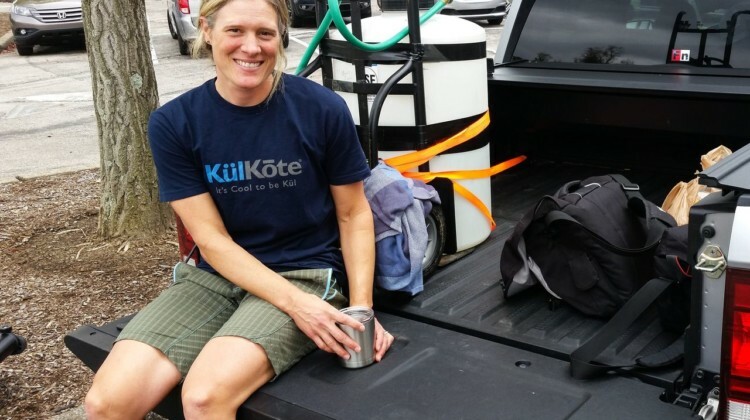 The story highlights the importance of working with local officials. 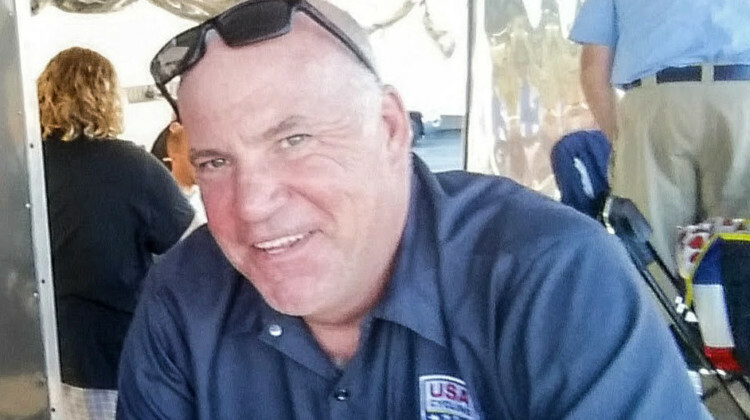 Once Stephen Hyde got a gap, he exploited it to win his second-straight Pan-American Championship. Full story from Louisville in our report. 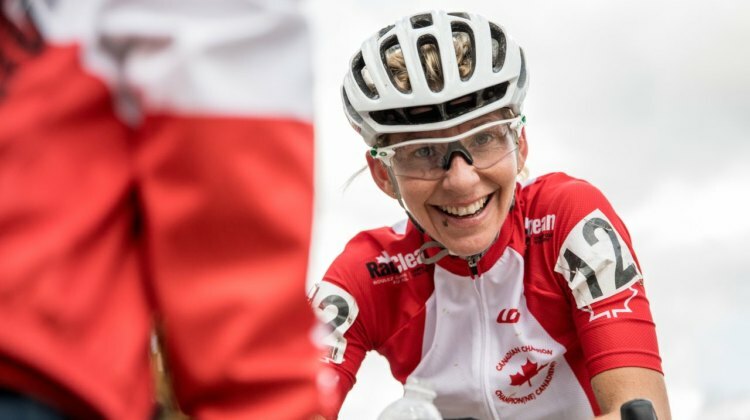 Katie Compton took control of the 2017 Pan-American Championships early on to win her fourth title at the event. Full story and more in our race report.